So we had some new groceries in our kitchen today, and those Keebler Coconut Dreams were among them. Growing up I sold Girl Scout cookies (and my mom was a “cookie mom” for years, so we’d have the annual our-garage-is-filled-with-cases-of-cookies thing), but I didn’t know until fairly recently that the cookies have different names in different regions. If you aren’t from Southern California, you may know Samoas as Caramel DeLites. I found pictorial evidence! The cookies are different?! So confused. The mystery of Samoas is that I am typically not a fan of coconut OR caramel, but Samoas were probably my favorite flavor of Girl Scout cookie. This kinda begs the question: Should Girl Scout cookies be in stores? Wouldn’t the Girl Scout powers that be rather people buy Samoas year-round than sell Samoas one month and watch people buy ripoff Samoas for the other eleven? I guess it’s a supply and demand thing? Or a… don’t want people to be burned out thing? (Like pumpkin spice syndrome.) Or a… want people to buy them from the little girls thing? Your post had me intrigued enough to read up on Girl Scout Cookies. It turns out that Little Brownie Bakers is a subsidiary of Keebler. 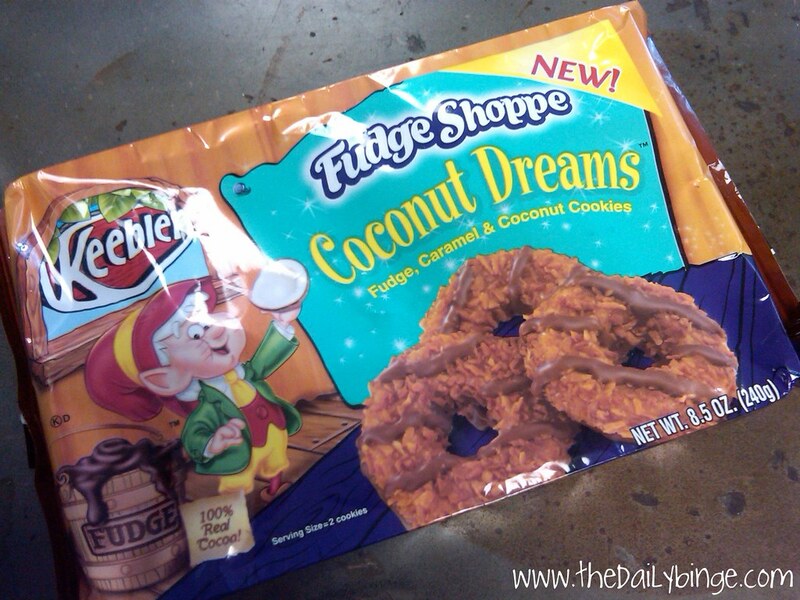 So Keebler isn’t really ripping anybody off – they’re simply selling the same product under a different brand name.